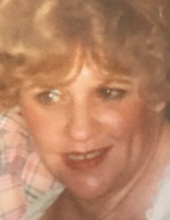 Mrs. Grace (nee Bold) Rae, 78, died on March 6, 2018, at Penn Medicine Chester County Hospital in West Chester, PA.
Born in Philadelphia, Mrs. Rae was a 1957 graduate of Hallahan High School. She was a former resident of Springfield from 1974 to 2001. The last 17 years she has resided in West Chester, PA.
She was an Administrator in an engineering office for many years. She was a past member of Holy Cross Church in Springfield and also attended St. Eugene Church in Primos. Mrs. Rae was a devoted wife, mother, and grandmother. She was a very loving and kind person. Madison, Jamie, Jack III, and Mary Grace. Relatives and friends are invited to her visitation on Monday, March 12, after 9:30 AM at St. Kevin Church, 200 W. Sproul Road, Springfield, PA 19064 followed immediately by her funeral Mass at 10:30 AM. Memorial gifts may be made to the American Diabetes Association, P.O. Box 15829, Arlington, VA 22215. (Donor may designate area). To send flowers or a remembrance gift to the family of Grace Rae, please visit our Tribute Store. "Email Address" would like to share the life celebration of Grace Rae. Click on the "link" to go to share a favorite memory or leave a condolence message for the family.